Need an office trailer for your construction site or another purpose? 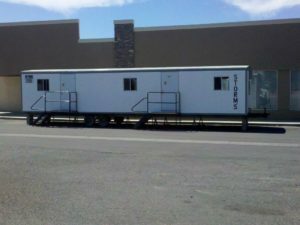 We rent office trailers on a short and long-term basis throughout Western Colorado and Eastern Utah. We are a family owned business that has been offering fast affordable and reliable service since 1986. We urge customers to call use and reserve units ahead of time so we can match them with most relevant type of office trailer. Whether you have a special project or an upcoming event, we will help provide you with a unit to help suit your needs. We maintain a few large trucks to help us transport rentals to you fast and safety. We pride ourselves on our safety records as well as our efficiency. We take the time to employ only very capable, experienced and skilled drivers. Our transportation services include setup, break down and travel preparation. 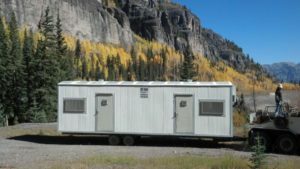 To learn more about our office trailer rentals we provide or to request a quote, we encourage you to contact us via our web form or give us a call at 970-243-4531.